the upper edge of the reservoir. Do not overfill. 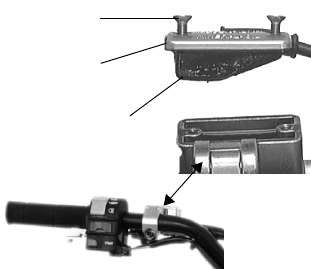 page 186 for the part numbers of Polaris products. 1. Position the vehicle on a level surface. 4. Add the recommended fluid as needed. 5. Reinstall the cover, boot and screws securely.